The smell of turkey and football is in the air – it’s starting to look a lot like thanksgiving! In this thanksgiving themed blog post, we’re sharing the history behind the “wish bone” and insight as to why you might want to pass when it comes to betting on rivalry weekend. Breaking a wish bone has become a Thanksgiving tradition for many families, but did you know it originated over 2,400 years ago during the Etruscan period? During this time, it was believed that fowls were sacred animals who had the ability to predict the future. When a chicken died, their collar bone would be left in the sun to dry and Etruscans would gather to hold the bone in hope of receiving good luck. Romans would often physically fight over the unbroken bones as they were desperate to receive good fortune. It’s believed that the phrase “lucky break” or “catch a break” came from this contest. With Thanksgiving just around the corner, many households around the state are gearing up for what some argue to be the most exciting time of the year – college football’s rivalry weekend and the end of the regular season. Whether a family is divided or has been attending the same university for decades, there’s very little that can disrupt the loyalty fans have in their favorite team. Unfortunately, there’s seemingly even less that can be done to predict the outcome of any given game. Even Lee Corso doesn’t get it right each week! If you follow college football at all, you know very well that in the end, a game’s outcome is dependent on hundreds (if not thousands) of uncontrollable factors. Rivalry games tend to be even more unpredictable as emotions run high. For some teams the rivalry game is their last chance to end the season with more wins than losses or the final string of hope that they’ll advance to a bowl game (ahem, looking at you FSU). Additionally, many players have grown up playing with and against their opponents, granting them inside knowledge that pollsters leave out of their game day prediction. With this rising popularity and ease of accessibility, comes the potential for more individuals to develop a gambling problem. Children who are exposed to gambling at a young age and participate in sports betting with family members are more likely to develop gambling problems of their own. 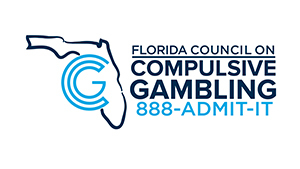 If sports betting or any type of gambling has become a problem for you or someone you know, contact our 24-Hour, multilingual, problem gambling helpLine, 888-ADMIT-IT.